When the Court finally rendered its opinion, however, its decision did not cover the expanse of the certified question. Instead, Justice LaVecchia held together a three-justice majority by answering a narrower issue. Specifically, the Haines opinion did not concern all medical bills in excess of the plaintiff’s PIP option. Rather, Haines addressed only “stand-alone” suits exclusively for medical expenses. The limited scope of the Haines opinion is readily discernible from the Court three times indicating that it was concerned only with the narrow corridor of lawsuits only for medical expenses. 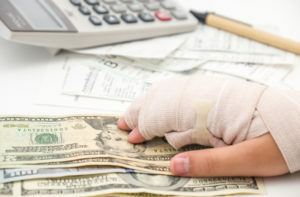 Twice the Court used the adjective “solely” and once the word “exclusively” to modify its reference to medical expense lawsuits thereby indicating that its opinion was limited only to suits in which the plaintiff attempts to collect only unpaid medical bills. Haines involved two auto accident cases consolidated for appeal. In both, the plaintiffs were unable to go forward with claims for non-economic loss. In both, the plaintiffs exhausted their $15,000 in PIP benefits and sued for outstanding medical expenses in excess of the selected PIP limit. The trial courts dismissed those suits, the Appellate Division reversed and the Supreme Court reversed again remanding to the trial courts for entry of judgments of dismissal. Although the Haines Court did not answer the original certified question, the issue originally presented was at the heart of the more limited Haines holding. Justice LaVecchia relied heavily upon N.J.S.A 39:6A-12 (“Section 12”) and what she believed to be contradictory or inconsistent language in that section. Section 12 is the statutory provision barring admission of “evidence of the amounts collectible or paid under a standard automobile insurance policy . . . .” Haines identified a “tension” within this statute as its final clause provides that “[n]othing in this section shall be construed to limit the right of recovery, against the tortfeasor, of uncompensated economic loss sustained by the injured party.” One provision plainly bars evidence of medical expenses while the latter appears to permit such evidence. From this apparent inconsistency sprang the issue presented in Haines. Justice LaVecchia resolved this inconsistency by pointing to language, also found in Section 12, that she construed as limiting that Section to “a civil action for recovery of damages for bodily injury by [an] injured person.” A suit solely for medical expenses, in Justice LaVecchia’s view, is not one “for recovery of damages for bodily injury” and therefore the last clause of Section 12 could not form a basis for admission of evidence of medical expenses. The Haines opinion explained that “we are considering this issue in the context of a stand-alone claim to be able to sue for only uncompensated medical expenses in a case where the limitation-on-lawsuit policy option prevented a claim for bodily injury.” Nothing in Haines indicates that the opinion is meant to reach beyond the narrow context in which the underlying cases arose. As an underlying rationale for its decision to exclude from evidence plaintiff’s uncompensated medical bills, the Haines Court also relied heavily upon the legislative purposes of the No-Fault Act “to avoid fault-based suits in the realm of medical expenses… .” A suit for non-economic loss, however, is not “in the realm of medical expenses. Considerations of reducing court congestion, an important underpinning of the no-fault system, do not obtain in a suit for non-economic damages which is already in the court system and in which fault is an element which must be proven. Simply, even assuming the no-fault system to have been a beneficent legislative accomplishment, its underlying justifications do not obtain in an action for pain and suffering which the legislature has permitted. In such actions, the plain language of the last clause of Section 12, which the Haines Court went to great lengths to obfuscate, controls and evidence of uncompensated medical expenses are admissible. In closing, it is noted that the Haines Court invited the Legislature to act in the event it determined that its decision was at odds with the overall statutory scheme. A bill pending in the New Jersey Senate and supported by Governor Murphy would clarify that injured plaintiffs may recover uncompensated medical expenses in excess of the chosen PIP limits. Don’t let the medical bills pile up while you wait for the negligent party or their insurance company to do the right thing. Right now, you need an aggressive personal injury attorney on your side, fighting to get you the compensation you need, want, and deserve. The skilled attorneys at CourtLaw represent clients injured because of auto accidents, slip and falls and other accident cases in Paterson, Bayonne, Clifton, Hoboken, and throughout New Jersey. Call (732) 709-7784 or email us to schedule a free consultation about your case. We have an office conveniently located at 163 Market St, Perth Amboy, NJ 08861, as well as offices in New Brunswick, Roselle, East Orange, Jersey City, Elizabeth, Linden, Newark, Paterson, South Amboy, and Trenton.